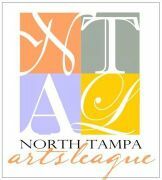 We're a group of North Tampa Arts League members, supporters, prospective NTAL members, art lovers and art collectors. The main benefit of joining is that you will receive email invitations and reminders about upcoming North Tampa Arts League art shows, receptions, contests, and other fun art events related to NTAL and its members. You can gain first access to some brand new awesome original art. Membership in our “Friends of NTAL” meetup group is free however you may want to join North Tampa Arts League to be able to participate in our shows and display your art. “North Tampa Arts League” is a non-profit organization dedicated to supporting and developing the arts and artists of North Tampa. Individual membership costs $35 per calendar year (family and other membership options are available). You’re welcome to visit NTAL's monthly meetings and learn more. They meet monthly, usually on the fourth Wednesday at 7pm, at Compton Park in New Tampa. All meetings include a a fun and educational program. You should really check out NTAL's excellent website www.northtampa-arts.com to learn more about NTAL, its mission, member benefits and view many of our artists galleries.